The FDNY Life Saving Corps. 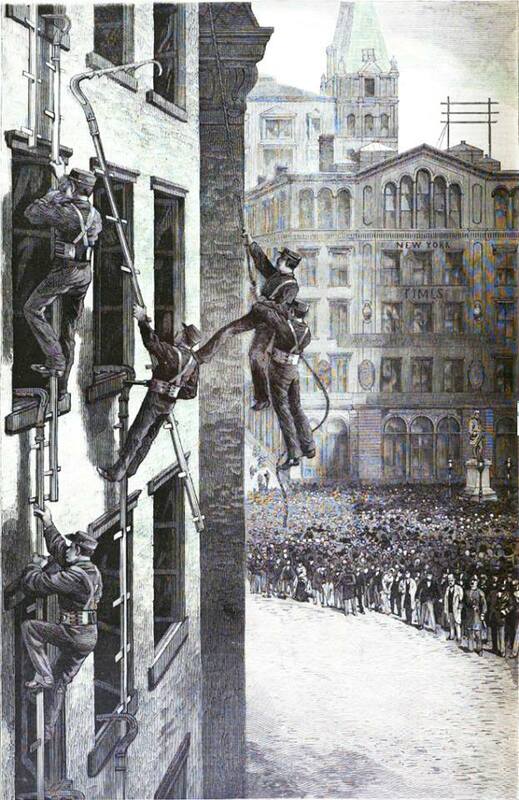 In 1882 the FDNY purchased the first scaling ladders from Chris Hoell of the St. Louis Fire Department. He was brought in to teach the first classes. 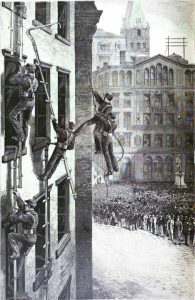 In 1883 General Orders #4 stated: The Life Saving Corps, will be devoted tom instruction and training in handling and using scaling ladders, life lines, etc. and all other life saving appliances now in use or here in after introduced. This was half of the School of Instruction, the other part was general instruction in the duties of a fireman. There was also classes for engineers (steam engine pump operators), company commanders and other officers. This entry was posted in History by Hashagen and tagged FDNY, ladders. Bookmark the permalink.